Stock cabinets are ready-made, meaning they are mass-produced in a factory and ready to ship when ordered. They’re sold in modular units, based on typical industry sizing standards; and no modifications or customizations are available. What you see is what you get! The advantages of stock cabinets are affordability and a quick delivery time. However, you usually have a limited selection of styles, shapes, colors, wood type, etc. Semi-custom cabinets are basically stock cabinets with extra detailing options, as well as increased selections of wood species, door styles, and finishes. The basic cabinetry sizes still apply, but consumers have the option to change certain dimensions, like increasing/decreasing the cabinet widths or depths. 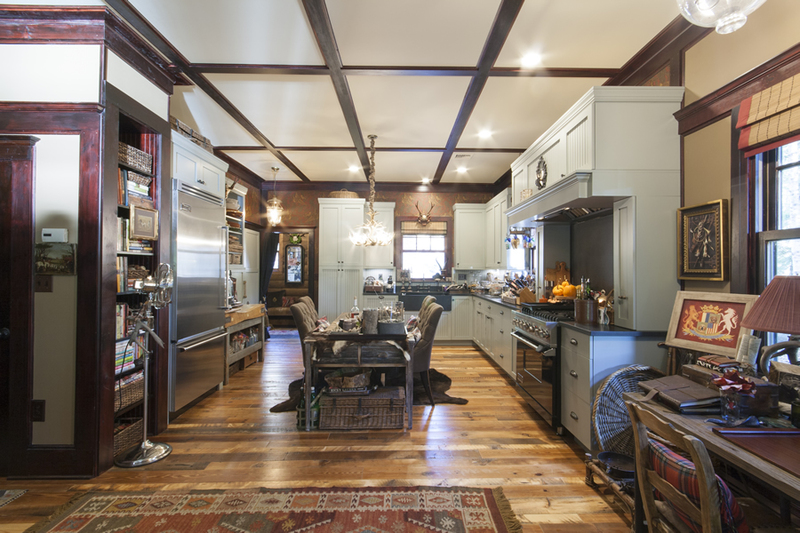 The advantages of semi-custom cabinets is that it enables greater individualized design freedom (however limited) without the cost of full-on custom cabinets. Lead times may be several weeks’ longer than stock cabinets, generally 4-7 weeks. 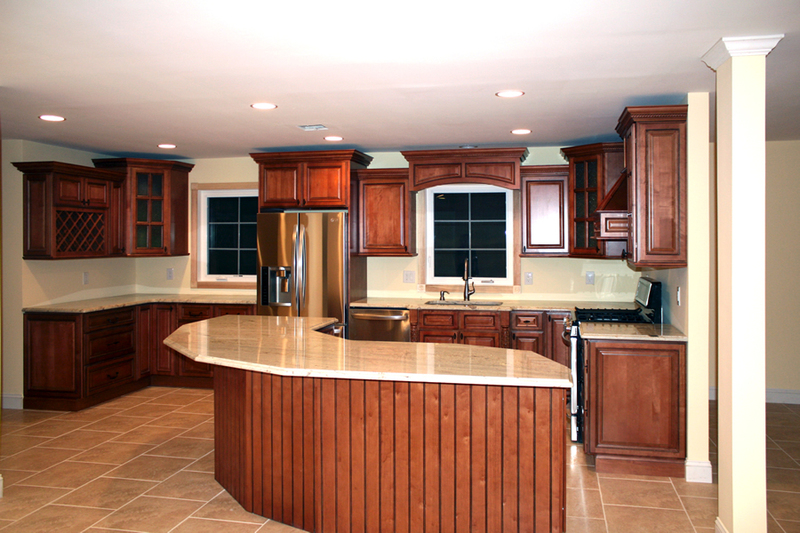 Custom cabinets are built “to order” per your specifications, so they can be anything you want! With few limitations in terms of sizing, they allow complete design flexibility to create a perfect-fitting, totally unique result. 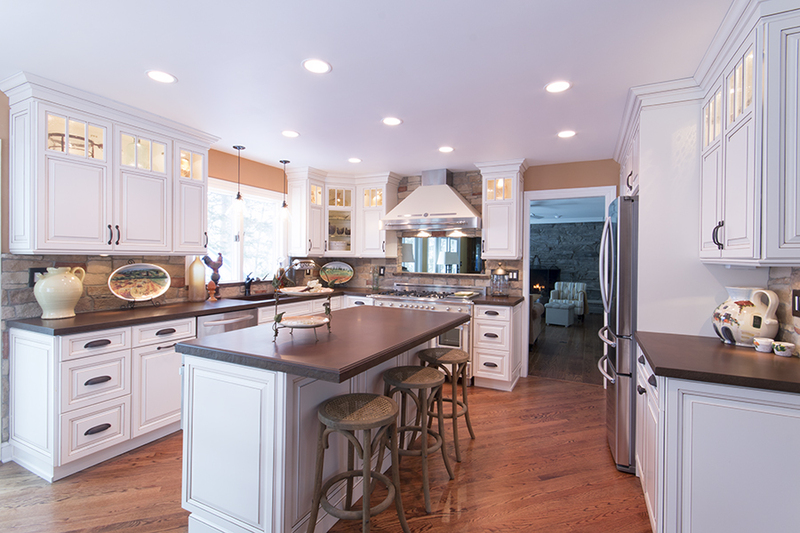 Custom cabinets also offer many more door styles, species, and a variety of stains, glazes, and sophisticated finishes. Many custom cabinet manufacturers permit custom color matching as well. Because they involve much more hand-crafted care (more labor intensive), custom cabinets are generally more expensive and take longer to build.